I think maybe I am angry, confused, frustrated with my travel plans, I think work and life is interfering with my hopes and dreams. "Andy, how do you feel?" I made plans to go Las Vegas, then to Bangkok, then onto (I n d i a), then many things happened that emotional put me in a bind. 1. Google - I discovered Google has HoboTraveler.com as a NON-USA site, and the final destination on my trip. I cannot write about this country, basically I need to type in the word USA, or United States of America, or say I am American all the time, basically be an American all the time. 2. My father has cancer, I am not sure how far I want to leave home. 3. It is winter, it is cold. 4. I need to finish my book, it is getting stupid at this point. 5. My hip joint has been in extreme pain, the 20-30 hour trips ahead were annoying long to think about, not a good time for a long haul trips. I am asking this question of myself 100 times per day? Do I love my country? The problem is this, I do not remember my country, I left 13-14 years ago, the place has changed, and I have trouble cuddling up close to USA people and accepting them, I know they do not want me around. Well, I talked to my accountant, I can and could travel in the USA next year, I am not making at much money at five years ago, so barely breaking even, I am technically losing money, but everything I do is a tax write off, all my travels. I have a 50-50 idea, that means I am half in agreement with myself to buy a MiniVan in the USA, and drive around the country, in search of myself, and the heart of this place, I want to know if it has the heart of a tiger, or a bunch of poofs. Where are the people, all in Starbucks getting in touch with their metro sexual sides, or are there still men of true grit? I am going to Dominican Republic on Sunday, finish the book, then plans are to return after the tax year ends, and drive around in the USA for 3-5 months. I need a 1000 Van, with no windows on the side, or a 1000 USD RV. I am not going to pay more than about 10 USD per night in the USA to park the thing, probabal couch surf or stay in Walmart parking lots, I can take a dip shower in the back sitting down on stool. Do I love the USA, I love what it give me, I do not love the people of the USA spending money like a bunch of fools, they are clueless to know how lucky they are and do not appear to appreciate the bounty they enjoy. Now, do all these American thing they invincible, do they truly believe they can tempt the fate of the planet, spend all their money, and get away with it forever? It is as if people want to blame the banks for their stupid, incredibly stupid spending habits, this is just not right. 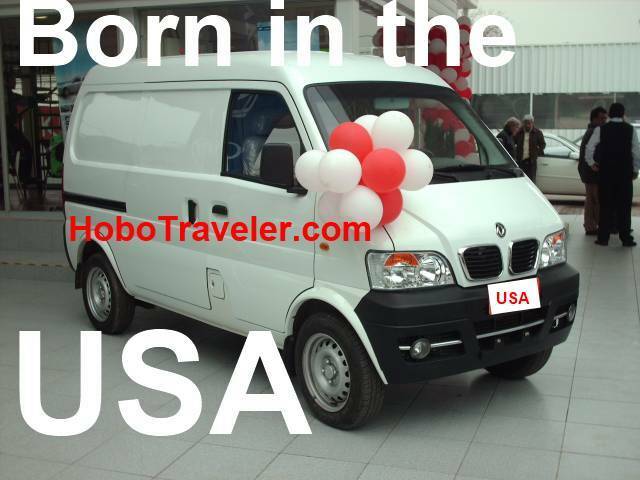 Bottom line, I could drive around, talk with people, hand out my new book, and self promote, and load up the HoboTraveler.com with search words about the USA, and super charge the site back to being American.